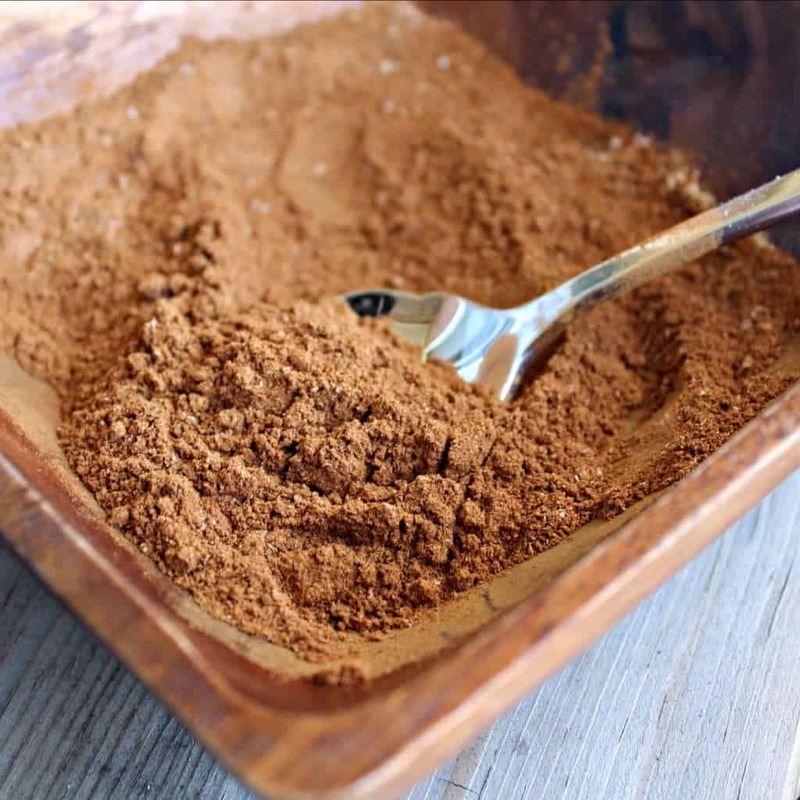 Once you try homemade pumpkin pie spice, you’ll likely never go back to store-bought! It’s easy to make with spices you already have in your cupboard. Doing it at home saves money and tastes better. Also, if you’re like me, you don’t go through spices too terribly quickly, so this assures that you use what you have and that all your spices will be fresh and tasty. 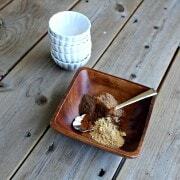 So toss out your old pumpkin pie spice and pull out your cinnamon, nutmeg, ginger, allspice, and cloves. Basically it gives anything the perfect little taste of fall. I finished off a jar of cinnamon while making this, so I threw my new spice mixture in that jar. Didn’t even have to wash it! Bonus! I wrote up a quick label, drew a pumpkin on it because I’m a dork (not to mention a terrible artist), and dated it. Stay tuned, I have an amazing recipe coming for you to use this spice mix in! Once you try homemade pumpkin pie spice, you’ll likely never go back to store-bought! It’s easy to make with spices you already have in your cupboard. 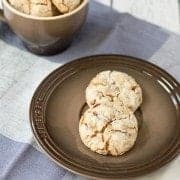 Perfect for fall baking! 1. Mix together all ingredients and store in airtight container. By the way, if you missed the kitchen link up there in the post, be sure to check out my Blogger Spotlight over at Taste and Tell. You’ll learn more than you ever wanted to know about me! Love it! Especially at the end where you said you drew a pumpkin because you are a dork! haha I am a dork! HELP! I am making a recipe that calls for all of the ingredients in pumpkin spice (which I have) seperately. So how do I know how much pumpkin spice to use? It calls for 1 tbls cinnamon, 1/2 tsp, ginger, 1/2 tsp allspice, and 1/4 tsp cloves. Would 1 tbls b too much? Thanks. I made pumpkin ginger cupcakes. I used the spices called for an used the pumpkin spice for the allspice. They turned out great! Thank you for the pumpkin pie spice ingredients. I have tried to purchase it from local stores, but have been unsuccessful. Now, I will go buy some fresh nutmeg and follow your instructions! You’re welcome! I need to refill my supply as well! Fab!! can’t wait to make it :) love your Taco mix, and I know I will love this to. Aww, thanks! They are two of my favorite recipes. Hi from a new reader. Where did you get the glass spice jar for your pumpkin spice mix? I have been looking for some. thanks, I use this spice weekly so am glad for the recipe. Amazon! I think these are the ones I have. Love these spice blends so far! If you can figure out how to duplicate “Club House” Country Herb salad ‘n dip mix I would be forever greatful! It’s the only dip my daughter will eat and I’m going broke buying it a packet at a time! Never heard of that–I’ll look into it! I have another spice blend coming this week. Glad you liked it! I could go for a pumpkin spice latte right now! What a great idea. I am going to make some and give for gifts. Thanks for sharing. Love the idea of making your own spice blends. Eh would make great holiday gifts with a recipe attached. I just did this too but yours is so much prettier! Thanks! 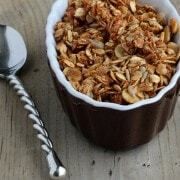 I posted a new recipe today using the mix and it is so delicious! What a great idea!! Perfect for holiday gifts;). I actually just posted a recipe using some of these spices, but I think the whole combo would work perfectly! I LOVE this idea!!! I saw something similar on another site, but your little labeled bottle just drew me in, so cute. :) Great photos, can’t wait to try this out. Seriously? You’re telling ME my photos are great–have you seen yours?!? :) You have a gorgeous blog! This is such a great idea! I’m like you – I don’t use spices that much so they sit in my pantry and get old and clumpy! I think this is ingenious. Love your ideas for uses as well. Oatmeal?! How terrific! Latte?! Even better! :) This definitely is going to make it into an empty spice jar. But my spice jar won’t look nearly as cute as yours. You drew a pumpkin I see. I am an anti-artist. No,I am not against artists (my husband and daughter are both artists) but I am the worst artist imaginable. Have a great Thursday! Haha, I’m just glad that you can tell it is a pumpkin, Geni! ;) My sister got the artist skills in our family, I’m more the math/science girl. Hi Rachel! I just found your blog from Eat, Live Run. I also am a young mom with TWO little girls – and have stopped working full-time to focus more on my family and my true passion – writing! (I write children’s books!) Anyway, I’m excited I found you! I am always trying to find quick simple recipes for my family too. Thanks for the tips! Thank you Leslie! How cool that your write children’s books! Our daughter LOVES to “read.” Of course, we’ve been encouraging it since the very beginning. ;) I like your blog a lot too! Thanks Rachel! Yep – I have an Ella B. Bella children’s book series. It’s a lot of fun! Looking forward to keeping up with you on your blog! LOVE making homemade spice blends. I can nearly smell this! The smell is fabulous, especially with freshly ground nutmeg! I love making my own spice mixtures as well! However, I’ve never made pumpkin spice. This sounds like a keeper! Beautiful pics! Well this is definitely a handy recipe to keep on hand. Thanks for sharing it and saving all of us a few bucks at the grocery store. Absolutely! You could also scale back the recipe if you don’t want quite as much. I could be wrong, but if you can find pumpkins, I think you can probably just peel, seed, boil/steam and puree? Of course I saw this recipe AFTER buying an albeit small jar of pumpkin pie spice! I’ll use it up & keep your recipe on my file cuz I’m all about saving money. Also I can’t believe ppl asked to see your trash can! 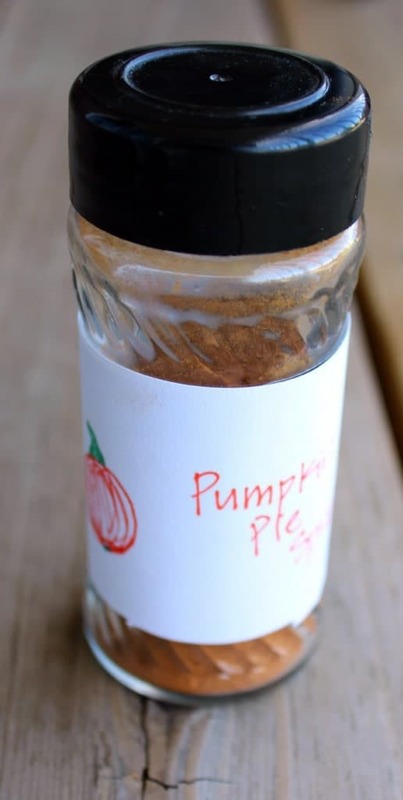 Ooooh love this idea of making your own pumpkin pie spice! I found you over at Taste and Tell! Thank you! It is so tasty. Love the picture of the spices! Thanks Averie! I still can’t believe she wanted to feature me! So fun! 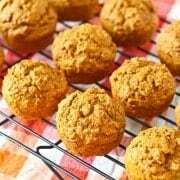 Being that I practically DRINK pumpkin pie spice ,I love this recipe!! I find myself using it in almost every single recipe I have! It is good stuff, isn’t it? Now that I have this homemade mix, I want to use it even more often. What a great idea!! And I love your cute little label!!! Oh boy. I’m such a bad “artist.” Thanks though! This is so much better than the store-bought version, particularly with that freshly ground nutmeg. You’re so right about never going back to the pre-ground version once you’ve ground your own nutmeg. Yup, there is no comparison. Fresh ground is SO much better. Stirred into your oats sounds perfect! I should get up and toss this right away! I think I’m going to have it on oatmeal tomorrow! Your little homemade wrapper for the jar is the cutest :) Next time I’m out of pumpkin pie spice I’m definitely making it from scratch. Thanks :) Let me know how you like it! I saw some recipes with cardamom too. Perfect! Much nicer to make your own, and you can adjust for personal tastes too. Exactly! I saw some with cardamom in them too, but I didn’t have any. What about snorting the spice? Is that accepted among human beings? No? Yes? what a wonderful idea. I wish I would have thought of it. I love pumpkin spice and you want to know a secret- i use it even when its the middle of summer. I just can’t get away from it! great post! Summer use is perfectly acceptable, in fact, now I’m trying to figure out why I don’t use use it year-round! Great post, Rachel. I like to put pumpkin pie spice on applesauce. Penzey’s sells empty spice jars for situations like this, and they’re like less than $2. I use them for taco seasoning and BBQ rub, and yeah, labels are important because my husband put taco seasoning on something we were going to barbecue this summer! Haha, whoops! I’m thinking that might be kind of good though! What were you grilling? Country-style pork strips. We did the only logical thing: grilled them, then cut them up and put them in tacos! Ooo yay I should do this. I’m very intrigued by what you have coming Friday…and for the pictures of the inside of your fridge! I love making my own spice mixtures! Thanks for posting this one- I was hesitant to buy pumpkin pie spice, but I have all these ingredients! Yeah–It’s great in a pinch, but I don’t think I’ll ever go back now!